I'd been feeling really stressed out this week, because I was trying to find a home for Mark. As I mentioned, he's getting discharged on the 18th. We were excited for him that he gets to leave the nursing home, but we had no idea where he was going to go. It was very unlikely that he'd be able to go back to his group foster care home (where he lived for most of his life) because he needs a little extra assistance. I told him that I would try to find a him as close to my house as possible, so that I'd be able to go visit several times a week, and pick him him to take him out places. All of the homes I called were for senior citizens, and Mark is only 58, so they couldn't take him. Yesterday, I was really starting to panic, because he's being discharged on Tuesday! My mom told me that she and my dad were talking about it, and decided to sit down and pray about it. Literally, while they were praying, the phone rang--it was the woman who owns the group home that Mark had been living in, and she said that they decided Mark could go back there! This was FANTASTIC news, because Mark really loves that home. They said they'll need us to help out, and we agreed. I'll go there a few times a week to help him get some exercise, and my dad can stop there on his way home from his summer job at the Metropark. Once Mark starts to deteriorate from the cancer, however, he won't be able to stay there. My parents are hoping that we'll be able to bring Mark to their house when it comes time for hospice care. Mark had some new tests done early this week, and he has an appointment on Wednesday to go over the tests. I am really hoping for a miracle--that the cancer will have gone into remission! But that's a long shot. More likely, Mark will have another year or two. Anyway, I was excited to tell Mark the good news, so planned to go see him this morning. After getting the kids off to school, I hopped on the treadmill for my scheduled four miles. I wore my new running shoes, Brooks Adrenaline 14's. When I first started running in 2010, I wore the Adrenaline 10's. I tried other shoes, but the Adrenalines have always been my go-to shoe. I've worn them ever since--the 10's, the 11's, the 12's, and the 13's. My most recent pair has about 350 miles on them, so it was time for a new pair. I went to the running store a couple of days ago and bought the 14's. I liked the new color! 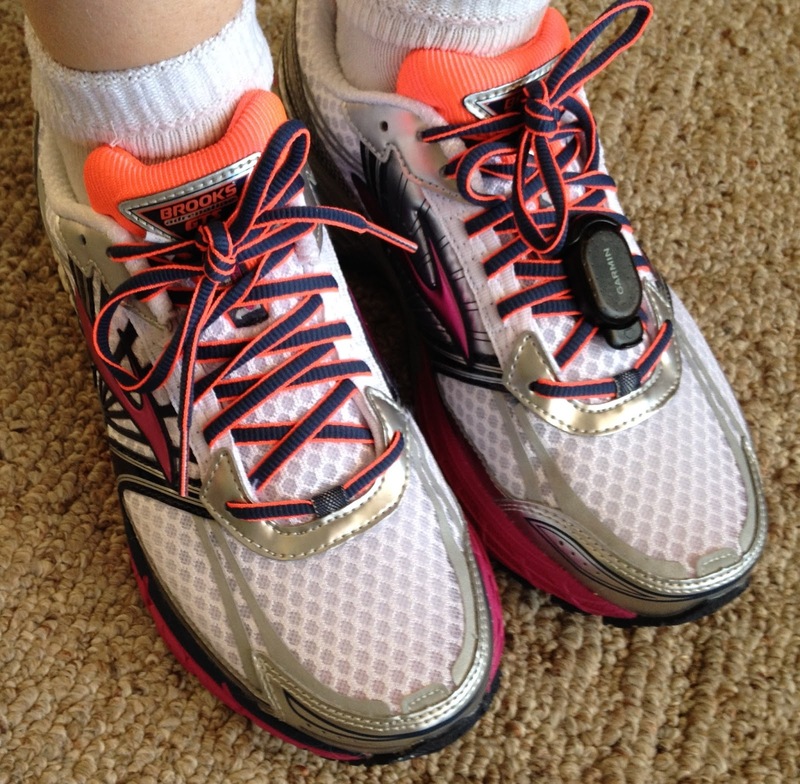 Yesterday, I wore them for my five-mile run at half-marathon pace (8:34/mi). They were killing my feet! I only ended up doing four miles at race pace before I finally just called it quits. I hoped that maybe I was just having a bad day yesterday, so I tried them one more time today. About a mile in, I just couldn't take it--the arches of my feet were killing me. I stopped the treadmill, and put on my old pair. My feet felt much better once I switched out the shoes, so I knew it was the 14's that were the problem. That was scary! The Adrenalines have always been my sure-thing shoe. No matter what, I knew they would fit well, I knew they were comfortable, and that I could run long in them. I've never found another shoe like that. I decided to return them today, and hopefully find a different shoe that would work. The weird thing is, when I was running with the new shoes on the treadmill, my Garmin foot pod was suddenly showing the wrong pace. My foot pod always shows the same pace as the treadmill, but with the new shoes, it was reading about 20-30 seconds slower per mile. When I put the pod back on my old shoes, the pace was almost back to normal (about 5 seconds slower per mile). So strange! I stopped at Starbucks to get Mark a vanilla latte. Once in a while, when I get Mark coffee, I'll get a decaf for myself. But today, I decided to try something a little fancier--I got a Skinny Peppermint Mocha, and it was so good! It was only 3 PointsPlus, which was definitely worth it. I read him some of his cards, and he got a package with a handmade scarf in it--he loved the scarf! I told him the good news about going back to his group home, and he was thrilled. He said he was hoping that I'd be able to find a place close to us. Now he'll be just 20 minutes away, instead of 40, and I'll be able to go visit more. The whole time that I was visiting today, he just kept talking about how he only has four more days until he goes home. He can't wait to sleep in his own bed and do his chores. 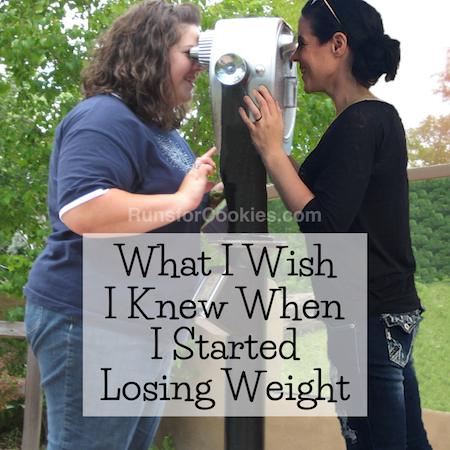 In other news, I've been doing TERRIBLE at getting back into Weight Watchers. I've been trying to count points, and I do well for a day or two, and then eat like I haven't eaten in days. My weight was 139 at the beginning of February, and I was at 146 for my last WW meeting! I hate writing this, and I've been avoiding writing about it at all, but if I keep procrastinating, I'm afraid it will just turn into 150, or 160, or more. I really need to get back to doing Wednesday Weigh-ins for some accountability. The only thing I can think of that would be causing me to have such a hard time right now is that I've been under a ton of stress lately. Jerry's been working just about every day; my friend Sarah passed away and I think about her several times a day (today would have been her 32nd birthday); the winter is never-ending; I was worried about finding a home for Mark; and my weight being up so much is stressful in itself. 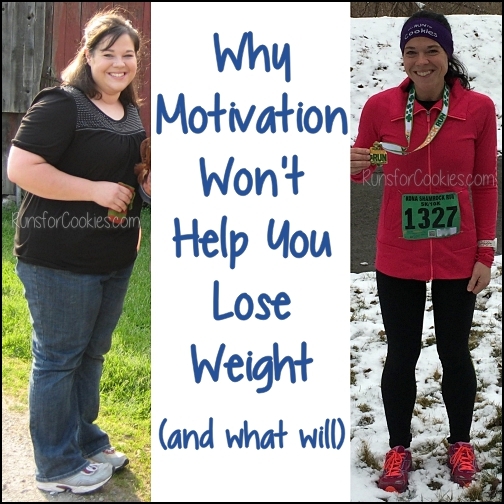 I'm not trying to make excuses--none of those things forced me to eat too much! But my life is a definitely more stressful than it usually is, and I wonder if that is making me want to eat more. Regardless, I want to get it under control, and I hope that by writing about it, I can gain control again. I'd love to be back at goal by the time I go to Boston for the Heartbreak Hill Half & Festival. My brother, Brian, is getting married in September, and his fiancé has asked me to be a bridesmaid. She just ordered our dresses, so I don't want the stress of worrying about whether it will still fit in the fall! So, my plan is to count my points, continue making sure to get in my five servings of fruits and veggies (I've been doing well so far all month! ), and post a weigh-in on Wednesdays, no matter what the scale says. Spring officially starts on Thursday, and I want to go into the new season feeling healthy! Katie... you're a sweetheart. It's such an inspiration how you care for Mark. Also, I just started WW too! 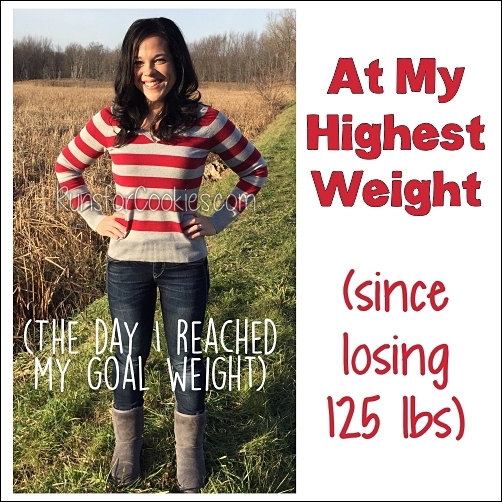 My first week was so easy (lost 2.2 lbs) and second week I gained it right back! Though I followed my points, I didn't eat 5 fruits and veggies a day which is key. Glad to know you are starting again too. Keep posting about your points, menus, and the scale! This is my post from yesterday exactly. I have been stress eating and binge eating and I cannot quit. I posted yesterday so I could be accountable to someone other than myself. I have got to get back on track! I'm so glad Mark is doing so well! It's wonderful that he gets to go home! Girlfriend, please just know that life happens. And as much as we don't want the stress to affect us, it's gonna. And sometimes we gain weight. Sometimes we don't. Sometimes, we are lucky enough to lose. But, that's just life. You have been through so much, so I would say just the fact that you're still awesome as ever, even in the midst of all this emotional heartache, is a feat in itself. I wear the brooks ghost shoes and I love them. They do have a roomy toe box. I am sure I don't run as much as you but I've never had a black toe nail, and I am training for a half. Ran 11 1/2 today. And by the way, I think you are awesome too!! Hang in there! Every time I read about you and your parents looking out for Mark like you do I am so impressed ... and a little sad to think how many other "Marks" are out there and how , as a family, are so wrapped up in our own day-to-day busy-ness that we would not even notice or begin to think we could take on something like that. Good good people you are. I know Mark brings you happiness too and you learn a lot by being with him. Anyway, I'm so happy to hear that he gets to return to his home and with the people and surroundings that bring him comfort. That's just awesome. I love how y'all love Mark. Fingers crossed for remission. I had some ghosts for my last shoes and loved them. I am wearing glycerins now and they are good, but I think my next shoes will be ghosts. I also have wide feet. I have had a rough few months in so many ways, so I completely understand the stress thing. My weight is up 20 pounds since summer and it's been one thing after another. I am just getting back into running regularly after spraining my ankle around xmas time. I kept getting sick and then got the flu and for weeks had no energy. I could barely get through the day. 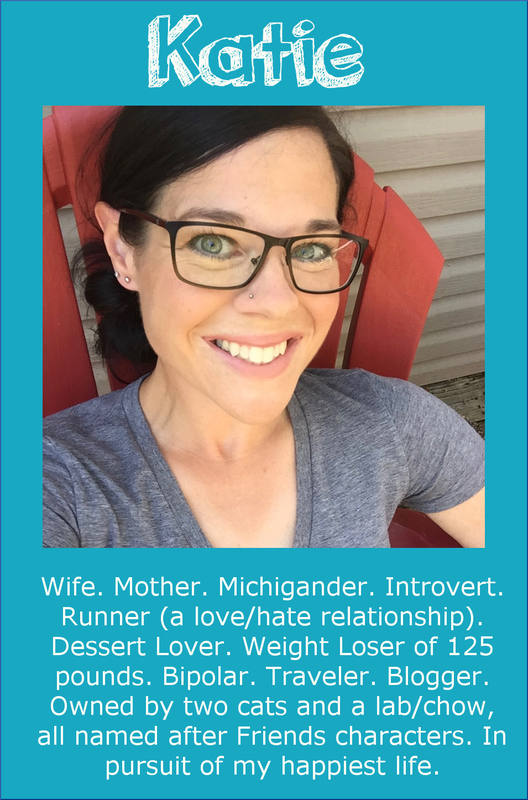 My husband would cook dinner or pick something up and coupled with that and snacking from being depressed and not exercising, it was a disaster. Anyway, it's been hard lately and I feel like such a failure for how much weight I gained. I am doing well now, on point with eating for the whole week and exercise, but I still feel blah. You can do it Katie!!! Katie, even going through stress you are still an inspiration to me! And I just was able to buy the Runner's World with you and your Ragnar team in it this morning at the international press shop, which really made my day. Great article and lots of good ideas! Stress eating is definitely an issue a lot of us can relate to. Nonetheless, is good to think about the fact that everything is temporary so, you'll soon be over this hump. My condolences on your friend. I am sure that's nothing easy to get through. I meant to comment on your post about whether we continue to count calories in maintenance, and I never did. I actually learned the concept of counting calories at a pretty young age, and have been doing it for more than 30 years. I started gaining weight in the second grade, with really no explanation. We never had junk food around, and we rarely ate fast food because I grew up in europe and I just wasn't in the same situation there. My mom was doing TOPS at the time and I observed the concept of counting calories from her. She took me to the doctor for my weight, and she just worked on controlling my portions. But a couple of years later, at about the age of 11, I just started doing it myself. And in all of these years whenever I've stopped, I've gained weight. And it's actually pretty difficult for me not to count them, because I've been doing it so long. 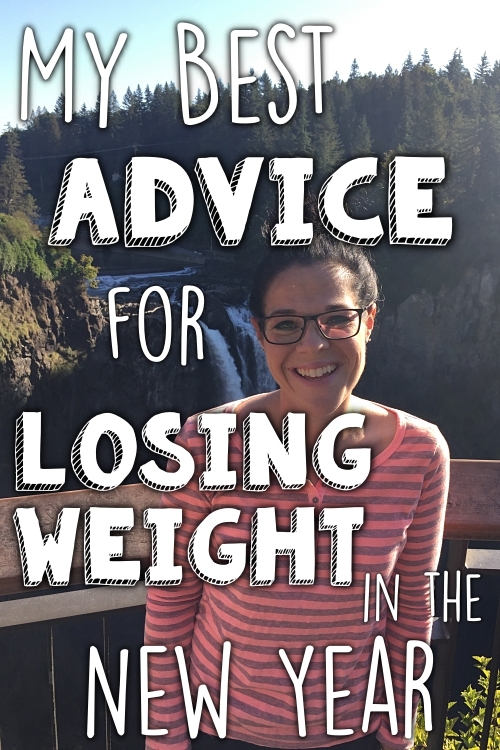 From my perspective the best bet for success is to continue the process with which the individual saw success, and you were clearly so successful by using the Weight Watchers plan. You are so inspirational and I look forward to your blog posts each day. I work with people with intellectual disabilities and am so happy Mark has people like your family in his life. So often people go into group homes and as they get older and their families age they have no one except the support staff. He is a very lucky man!!! Also, I wear Brooks Ariels and the first few times I wore my new ones my feet hurt too!! I find this pair isn't as durable either. Makes me sad that I might have to give in and change things up. I'm in need of a new pair very soon too. I'm new to your blog, but I do enjoy hearing about Mark and so happy to hear the great news about him returning to his home! Does he still enjoy getting cards? I am currently running in the Brooks Ghost 5 and I love them. I trained and rain a marathon in them. I need to get new shoes now and I will be getting them again. Best shoes I have ever ran in. The reason the Ghosts are cheaper is because the Ghosts are for neutral runners whereas the Adrenalines are for people who overpronate (ankle collapses when you are weight-bearing). If you notice any issues with your ankles or knees in the Ghosts, you could try an insert like Superfeet in Berry. That should give your ankles some support. A similar shoe to the Adrenaline is the Saucony Guide. The Hurricane is going to be a more cushioned version of the Guide. The Brooks Transcend is the more cushioned version of the Adrenaline. I used to work at a running specialty shoe store so I'm used to finding comparable shoes when a new edition isn't as good for a runner as the last. Personally speaking, I like the 14s, but hated the 13s, and liked the 12s! 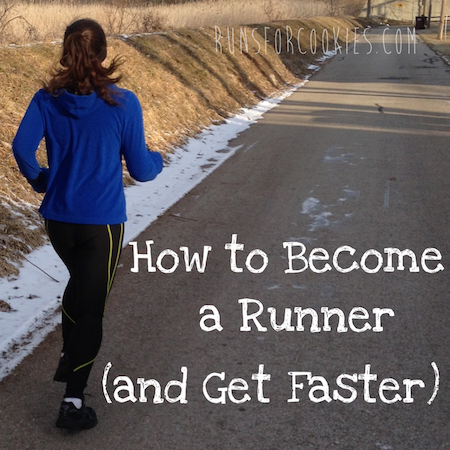 It's interesting how shoes feel for different runners. Hope this helps! I was just about to write "get brooks ghost!" when I got to the part where you wrote that you did just that. I had Ghost 3, now I am on 4 - I always buy the older generation because it's easier on my pocket. Have not tried the 6 yet. I have maybe a month or two life left in my shoes and then I will have to make a decision again! I have the Ghost 6's and love them. I have a tendency to pronate my feet so these help a lot with that. Hang in there! This winter will end! It will get better! Good for you for saying something though. That is the hardest part. How great for Mark to be able to go to his home! Katie, I totally get stress eating. Sometimes I get that and it can be crazy out of control. Just know that you can get back into control. Take it one meal at a time. Hello. I am a new reader of your blog and I think it's great. I read about your shoe issue and I remembered a local news story about a man who invented a running shoe called Altra that is supposed to be really good. I have not tried them personally, but hope this might be helpful to you. I just switched to Brooks Ghosts after my favorite Asics Cumulus 13s changed and didn't fit my feet the same for the 14s and 15s. (I kept finding 13s online at outlet stores but that ran it's course). I find that the Ghosts are great but definitely don't feel as cushiony as my Cumulus. They had me try the Adrenaline and Glycerines too but they hurt my feet. Good luck in the Ghosts. (I just found your blog from Runner's World article (my friend was actually part of the 1/13 ragnar key west as well. They wore mexican outfits (sombreros and ruffled skirts).